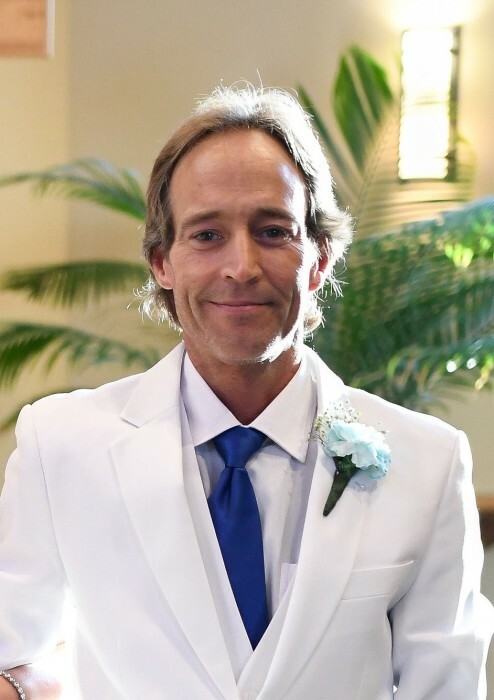 Bradley James Loken, age 46, of Clitherall, Minnesota passed away at Sanford Healthcare in Fargo on January 26th, 2019. Bradley was born on May 19, 1972 in Browerville, Minnesota to James and Shirley (Mehrhoff) Loken. He attended Clarissa Elementary and Eagle Valley High School in Minnesota. Bradley studied and became an Electronic Repair Technician after studying at Thomson Education Direct in 2005. Bradley married Lynn (Busker) Loken on November 17th, 2018. Brad and Lynn fell in love at the age of 13 while attending high school together and had reunited in 2017 after never having forgotten each other all those years. Brad and Lynn were soul mates “The Love of each other’s Lives!” He worked on the family farm and numerous other dairy farms to the age of 26 near Clarissa and Eagle Bend area. Brad worked as a welder and machinist at Homecrest Outdoor Living in Wadena, Minnesota for 11 years until 2008. Other jobs he had included, Al’s Cable Contracting, Felling Trailers, Inc., over the road CDL truck driver and electronic repair technician. Since 2009, Brad has enjoyed working on cars, electronics, and numerous other projects for others. Bradley had Degenerative Disc Disease affecting the Lumbar and Cervical areas of his spine. He had Cervical and Lumbar Facet Arthropathy, Foraminal Stenosis of the Cervical and Lumbar region and chronic right-sided low back pain with Sciatica. Brad will be remembered for the strength he had to endure this chronic pain for his entire adult life. Brad was in a terrible car accident at age 19, along with a couple of snowmobile accidents later, as well. Brad’s collar bone was broken twice and he suffered from chronic pain daily. Preceding him in death were an infant Brother, Kevin Loken; Paternal Grandparents, Leonard and MaryJane (Burger) Loken; Maternal Grandparents, Fred and Helen (Fisher) Mehrhoff and Uncle, Arthur Mehrhoff. Survivors include his Loving wife, Lynn (Busker) Loken; Children, Kendra Loken and Brittanie Young; Parents, James and Shirley (Mehrhoff) Loken; Sister, LaCinda (Charles) Burgess; Nephew, Kevin Burgess; Stepdaughters, Jessica (Rick) Jordan and Katelyn (Kenny) Sakry; Stepson, Bryant Marquedant; Step Grandchildren, Zayne Jordan, Brielle Jordan, Kova Jordan, Theron Jordan, and Easton Sakry; Best Friend, Scott Whitaker (Donna Brandt) who were Brad’s dearest friends who were always there for him. Funeral Services will be on Saturday, February 2nd, 2019 at 11:00 am at “Our Lady of the Lake Catholic Church” in Battle Lake with Father LeRoy Schik (officiant). Burial at “Our Lady of the Lake Cemetery” near Battle Lake following the funeral. Bradley, we will always carry your memory in our hearts. You will be remembered for your caring, loving heart, as you were always putting others before your own needs. May you be at peace with the LORD and free from the chronic pain and spinal issues you endured for far too long.